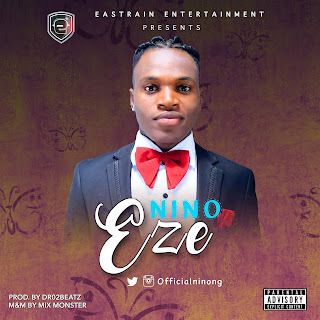 EASTRAIN ENTERTAINMENT signed, recording and performing artiste "NINO", who started music professionally in 2014 released his first single in 2016, and now he is back with a new sound this year titled EZE, produced by dr02beatz. The song was Mixed and mastered by Mix Monster. Listen and Enjoy.